Calling all Sam's Club Members! 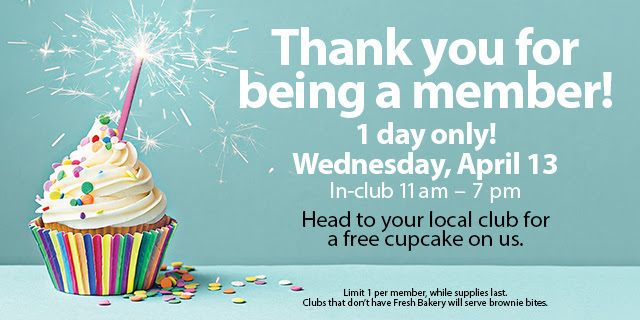 Today, April 13th between the hours of 11am-7pm stop over to your local Sam's Club because they are offering FREE cupcakes just for being a member! Don't have a bakery inside of your Sam's Club? Don't worry they will still have brownie bites for members! It is a limit of one per card member. If you aren't sure if your store is participating be sure to give them a call beforehand!